We were met by our tour guide at the gates in Lucca and taken on the short trip through beautifully landscaped hills to the property. We then drove down a beautiful driveway to the building which houses the cellars where we were to experience the local wines, the olive oils and the local salami. If someone were to ask wine lovers regarding their favorite Italian wine regions, Tuscany would likely come out at the top. 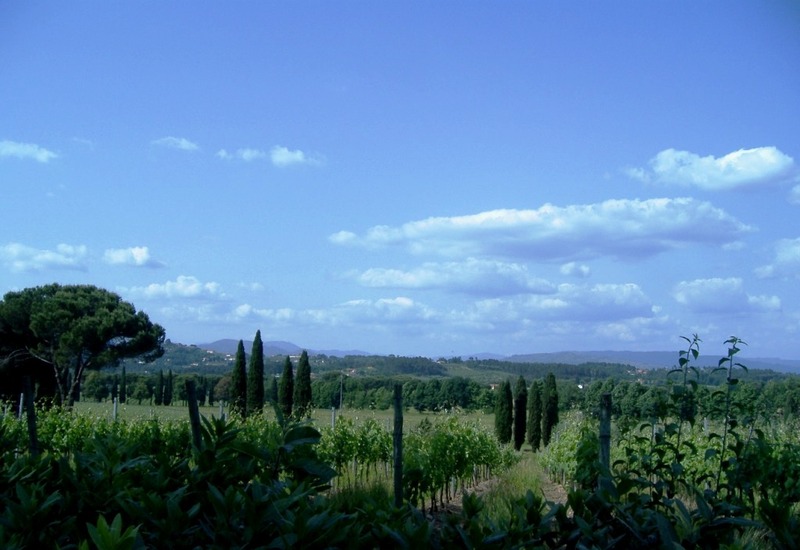 Besides making Italy’s most famous wine , Chianti, Tuscany is home to Italy’s many prestigious wines. After visiting the cellar and the Vin Santo attics and hearing about the history of the Fattoria (farm) we were ready for our amazing tasting. Our guide described the methods used on the farm, manual vs mechanical, the history of their wine and the olive oil production in the region and technical terms of wine manufacture in layman’s terms. The first tasting was the Vermentino which incidentally is my favourite white wine and then we tasted the Montecarlo Bianco – both were served with a selection of cheeses. These were then followed by the Montecarlo Rosso and Anfidiamante IGT which were served with the homemade salami and Altopascio bread with extra-virgin olive oil. All the wines which were produced on site were superb and the oils that they made had excellent flavour. We loved the food and the wines and purchased several bottles to enjoy back at our apartment and also for gifts. The grand finale was the homemade “cantuccini” biscuits with the Vin Santo D.O.C Fattoria del Teso which is aged at least 10 years. We dipped our Cantuccini in to this divine dessert wine. And savoured every bite. This is beautiful winery. We have been a couple of times. Their Vin Santo is excellent. This sounds amazing! Pretty close to heaven, definitely going to have to try this out, thanks for this! A divine way to spend day. 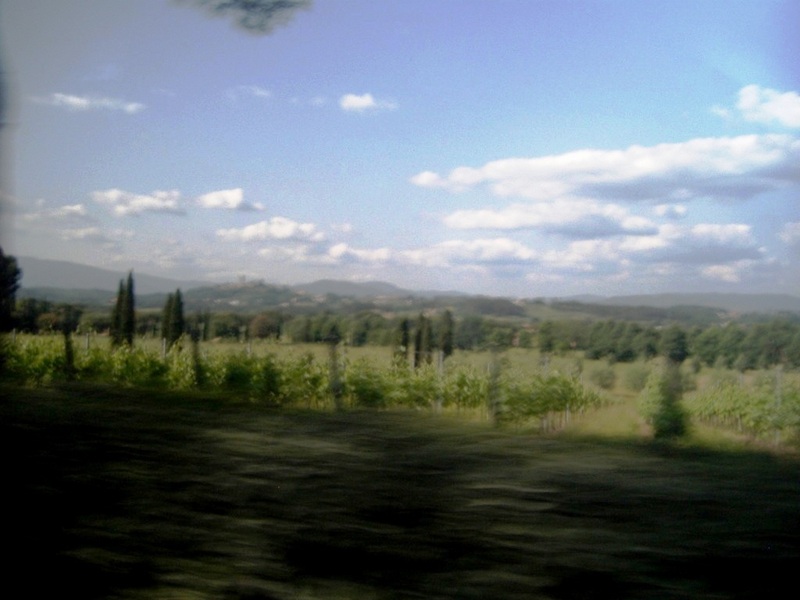 Tuscany, food and wine…………………..then heaven!!!!!! Yes Gail, it does not get much better hey. Wine tasting in Tuscany is always a good idea:) Love your experience and you captured it well with your photos. How perfectly yummy – the wine cellar looked awesome. What a great way to spend a day. Ok Lyn i am jealous! You know how much I love wine. Your tasting sounds fantastico. Not only great wines but food, culture, scenery and Italian people up close. So glad you got to experience this. Yes George, the perfect combination. You guys would have been in your glory. A beautiful winery! Glad you were able to enjoy the experience! We have also visited this winery…. excellent quality all around. I have to admit though that we are still partial to our Teroldego Rotaliano from Trento Province. Great post! I must try that one. I do buy Italian wine here in Aus that is from the Veneto area which is delightful. Yes, I will visit another one on my next trip to Italy. Thanks for stopping by my blog. Lyn, totally gorgeous scenery pic! And I can taste the wine from your words! Thanks for helping me with Italia-itis! !